Are you interested in knowing the 7 Most Popular Diet Pills That Work Fast Without Exercise? I mean what better way to lose weight than to simply pop some pills and let the fat melt away, right? Of course, you may be wondering, do diet pills actually work? I mean it does sound a little too good to be true doesn’t it? Why is obesity such a massive (no pun intended) problem if people could simply take some pills and reveal their true form hiding under the layers and layers of fat? Well, diet pill studies have shown that many prescription diet pills do indeed work to promote increased weight loss when compared to maintaining a similar lifestyle without the pills. A 2014 meta-study of 21 long-term trials studying the effects of prescription drugs on people with obesity concluded that those drugs do increase the likelihood of someone attaining “clinically meaningful” weight loss in conjunction with other positive lifestyle changes. So how do diet pills work to make people shed their excess baggage? Primarily through one or a combination of three mechanisms. One of the most prominent is by making you feel full, thereby making it less likely that you’ll be hungering for some hamburgers. When you do chow down on some burgers (or hopefully some healthier fare) is when some of these pills also kick into action. Take orlistat, which blocks lipase from being able to break down fat, meaning you absorb less of it. Thirdly, some diet pills will promote the burning of excess calories during physical activity. However, over the counter diet pills did not fare nearly as well as prescription diet pills in a separate meta-study conducted in 2004. That study found that none of the reviewed dietary supplements, of which there were 11, delivered convincing evidence that they were effective at spurring weight loss and the study authors did not recommend any of them for use. Among the supplements studied were chitosan, hydroxy-methylbutyrate, Ephedra sinica, and Garcinia cambogia. There’s also the notable issue of diet pill side effects. Even FDA-approved weight loss drugs often come with dangerous side effects, including liver damage, constipation, nausea, insomnia, and dependence. When you’re talking about so-called natural weight loss pills, or dietary supplements, you really don’t know what you might be putting into your body and what the side effects might be. That’s particularly concerning when some consumers are unaware of how unregulated dietary supplements are. A 2015 Consumer Reports survey found that about 20% of respondents believed weight loss supplements are FDA approved (they aren’t, the FDA will only review supplements if there’s enough evidence that a safety concern exists, which means you’re effectively any supplement’s guinea pig) and that they were safer than prescription medications and contained less side effects. However, a 2014 study found that a majority of the dietary supplements that had been recalled by the FDA which were reviewed in the study still contained banned ingredients after the FDA recall, ingredients which the FDA considers have the potential to cause serious adverse health effects or even death, so there’s a serious potential risk when using unregulated supplements. Many of these will tout their natural ingredients, but it’s important to remember that natural in no way means safe. 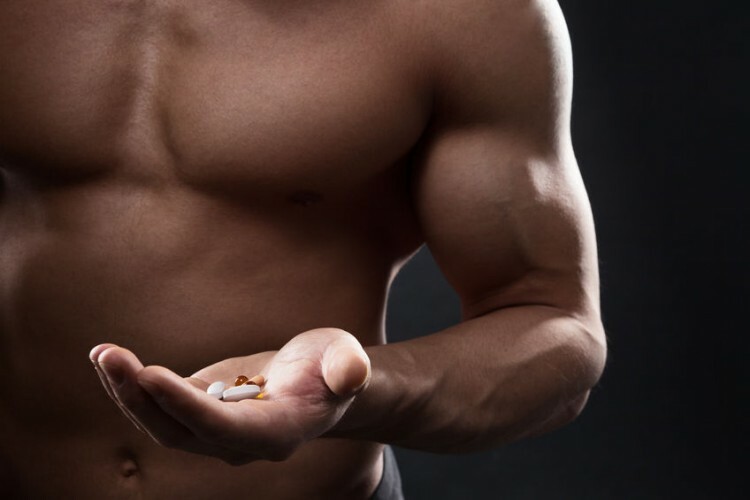 In this article we’ll take a look at the 7 Most Popular Diet Pills That Work Fast Without Exercise, the majority of which are prescription medications. It should be noted that while there is little concrete evidence of these drugs helping to shed weight without exercise, due to drug trials almost unanimously involving diet and exercise changes so as to enhance their results, there’s no reason to suspect these treatments couldn’t be effective without exercise, though obviously to a lesser extent. For further weight loss reading, don’t miss the 10 Best Performing Weight Loss Companies and Their Programs, which includes some of the companies mentioned in this article. Now then, head to the next page to begin the countdown of the 7 Most Popular Diet Pills That Work Fast Without Exercise.